“Now wait,” you’re thinking, “Now you’re gone too far. Not every hero has to be James Bond. Maybe my hero isn’t clever. Maybe he’s not even a hero. Maybe he’s just a fool. Can’t I make a movie about a fool?” The answer is yes, of course you can. But they have to be a resourceful fool. As my brother likes to point out: “It’s hard to make things foolproof, because fools can be so clever.” If you think about this, it’s absolutely true. Nothing in this world is foolproof, because resourceful fools always figure out some way to screw it up. That’s the kind of fool you want to write about. As filmmakers go, you don’t get more artsy than the Dardenne Brothers of Belgium, who make beautiful-observed but grueling portraits of bottom-dwellers who somehow manage to spiral even further down. No one thinks of these characters as “clever” or “heroes”, but in fact they are both, in the way that I use those terms. 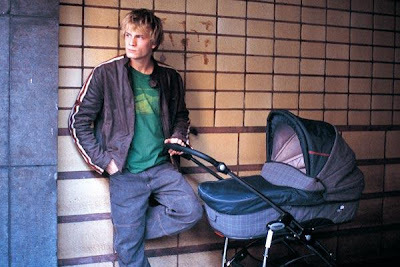 Bruno in The Child is an aimless junkie who discovers that an ex-girlfriend has just had his baby, so he immediately goes and sells the child on the black market in order to get money for drugs. Later, he is truly shocked to see how upset she is and he tries to get the baby back. At one point in this process, Bruno is forced to wait in a back alley before the person inside will speak with him. There’s just one problem: he can never wait around for anything. He can’t sit still for a second—That’s his whole problem. But he doesn’t whine about this problem, he finds clever ways to solve it. When he is told he must wait five minutes, we instantly sense that this is like a prison sentence to him. We share his anxiety as he looks around desperately for something to do. Then he spots it: a mud puddle by a white wall. He goes over, soaks his boots in mud, then leaps up against the wall repeatedly, putting black boot-prints all over the wall. This happily occupies him until they come to get him. Problem solved. Fools can be so clever. Cleverness has no direct relationship to competence. 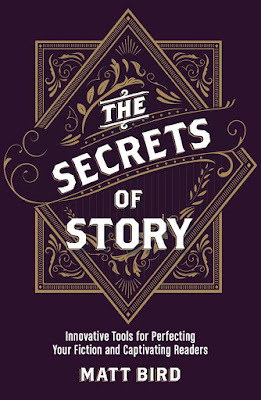 William Goldman, in his book “Adventures in the Screen Trade”, writes about how nobody was bonding with the titular hero in his movie Harper, so he added a brief scene in the beginning where Harper gets up in the morning, starts to make coffee, realizes that he’s out of filters, fishes yesterday’s filthy filter out of the garbage, brushes it off and re-uses it. Suddenly, the audience was ready to go anywhere with this guy. He may not be very competent, but at least he’s resourceful. We can trust him to solve the murder case or do whatever he sets his mind to. Of course, if you really want us to cheer on your hero, it’s great to give them something clever and heroic to do right away. My biggest problem with Blake Snyder’s excellent book about likable heroes, “Save the Cat”, is that he gives so few actual examples of “Save the Cat” moments. But one that he does give is a doozie: Al Pacino begins Sea of Love by inviting everyone with outstanding NYPD warrants to a free “Meet the Yankees” day at the stadium. As they arrive, cops arrest them all. This guy is clever! Even better, Pacino notices that one sad-sack fugitive has brought his eager young kid, so Pacino discretely flashes his badge and warns them away. Now we really love this guy, despite the fact that he spends the rest of the movie screwing the suspect. Hold yourself to a high standard: Have your hero do five clever things in the first ten pages, based on whatever their goals are, right or wrong, smart or dumb. Audiences will love you for it. So now we’ve almost done, but before we get to the end of the line we need to establish one more thing: the end of the line. Return tomorrow for the exciting conclusion.